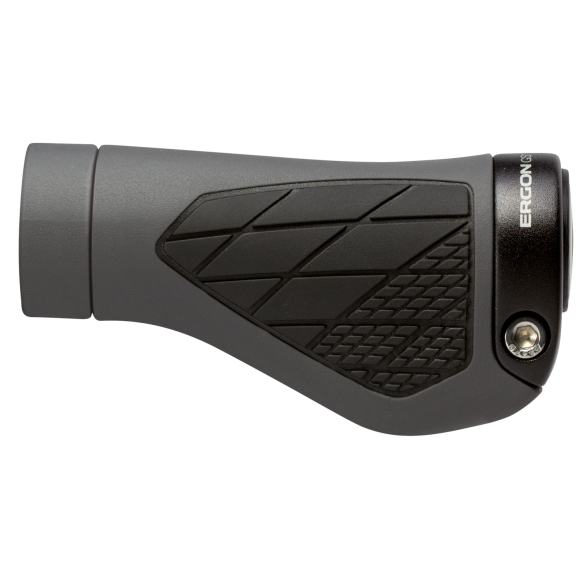 The GS-grip combined with a compact 2-finger barend made out of fiberglass reinforced composite, which offers more hand positions for increased comfort on long mountainbike rides. 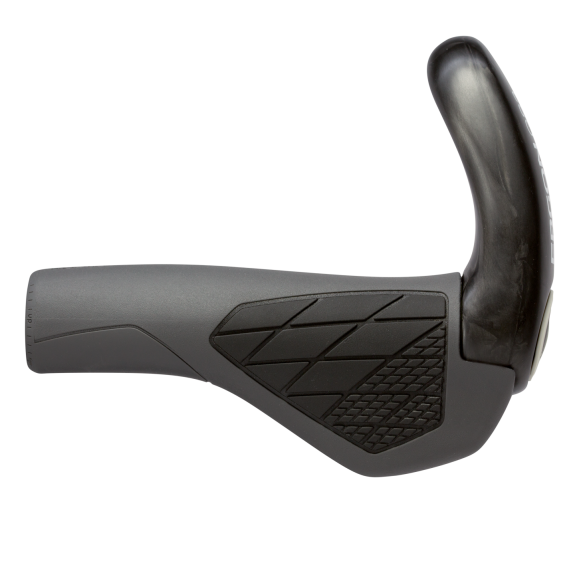 Additional rubber is used on the barend improving the rider‘s grip during hand position changes. 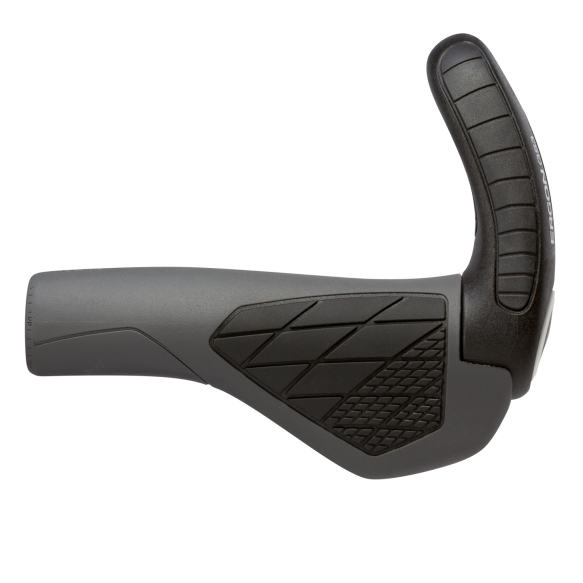 The exclusive German produced rubber compound found in the grip and on the barend enables precise steering and control, all while still maximizing optimized damping features. 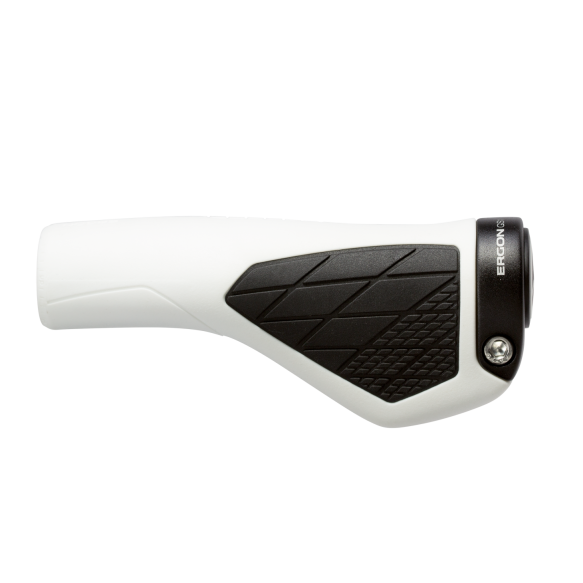 The grip provides ideal comfort over long distances through ultimate pressure distribution and ride tuned flex. Carbon bar compatible. The GS3 combines comfort in a lightweight package, ideal for long distance endurance athletes. 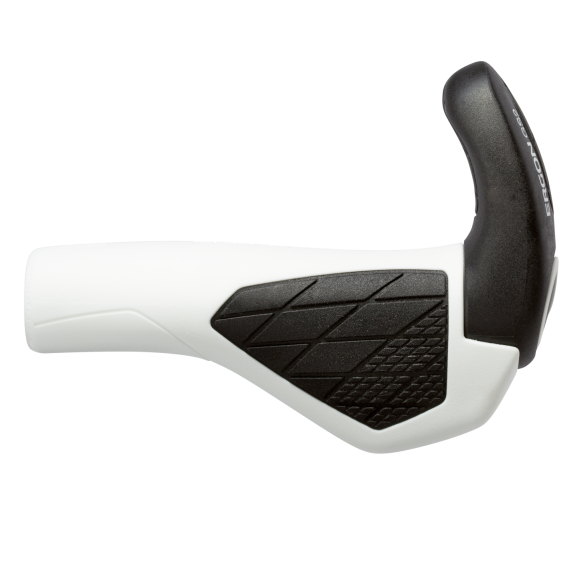 The 3-finger barend is made out of fiberglass reinforced composite, which offers more hand positions for increased comfort and leverage on long mountainbike rides. Additional rubber is used on the barend improving the rider‘s grip during hand position changes. 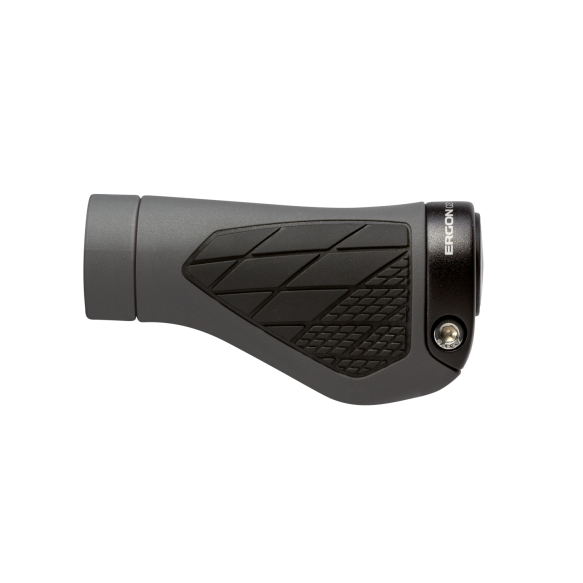 The exclusive German produced rubber compound found in the grip and on the barend enables precise steering and control, all while still maximizing optimized damping features. 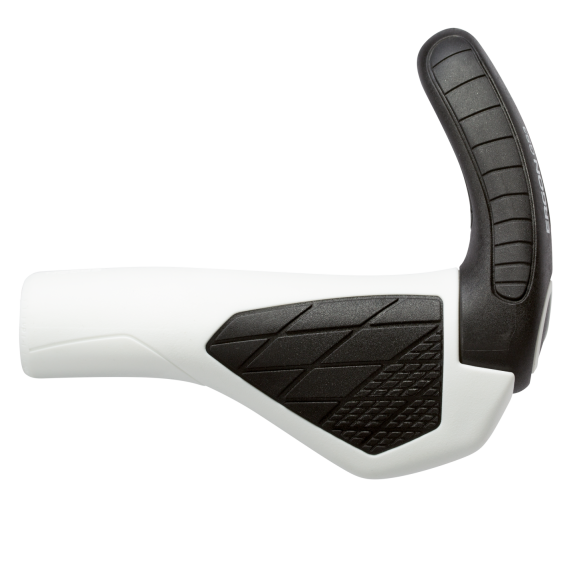 The grip provides ideal comfort over long distances through ultimate pressure distribution and ride tuned flex. Carbon bar compatible. The GS3 Carbon combines comfort in a lightweight package, ideal for long distance endurance athletes. 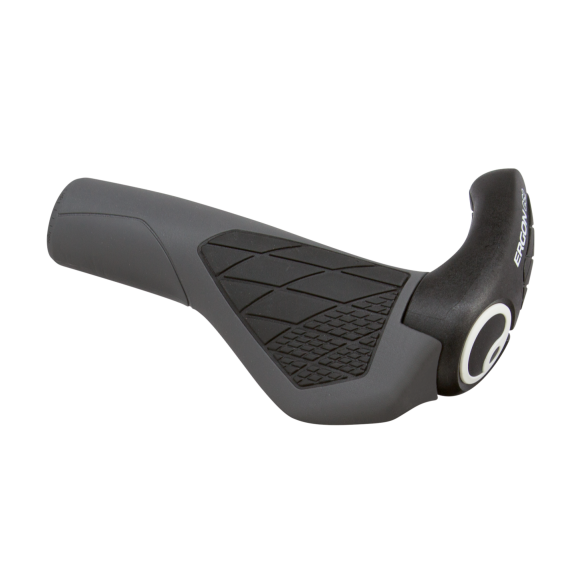 The 3-finger barend is made out of fiberglass reinforced composite, which offers more hand positions for increased comfort and leverage on long mountainbike rides. 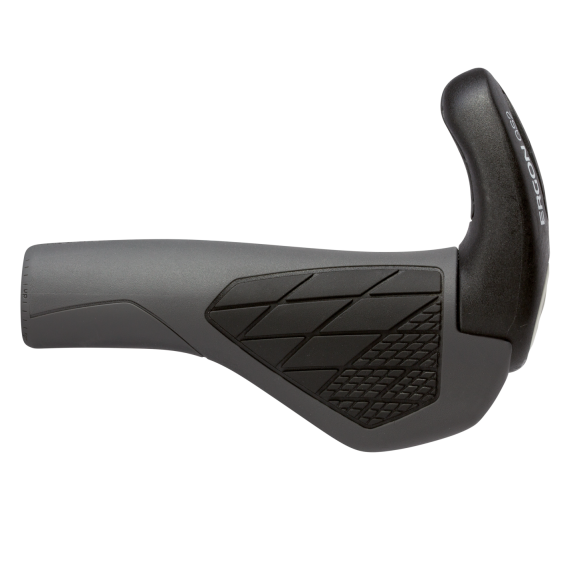 The exclusive German produced rubber compound found in the grip enables precise steering and control, all while still maximizing optimized damping features. 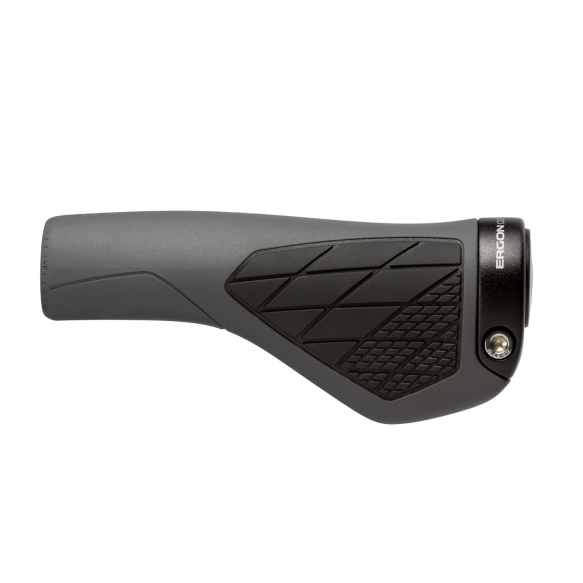 The grip provides ideal comfort over long distances through ultimate pressure distribution and ride tuned flex.The GS3 Carbon features an angle-adjustable, three-finger bar end, made of 100% carbon fiber (50 g per bar end). Carbon bar compatible. 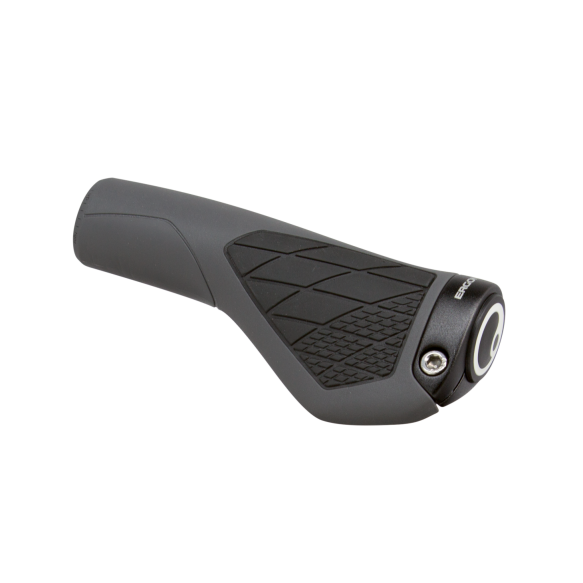 The grips of the Topeak-Ergon Racing Team, the most successful marathon team of the last decade. 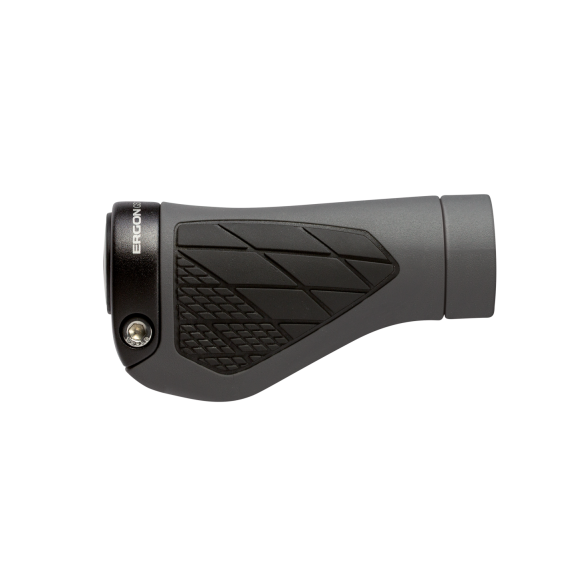 The GS Series combines high damping properties with steering precision. 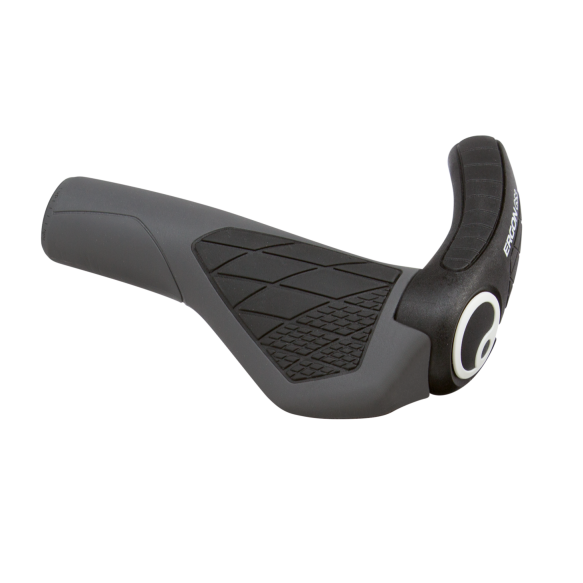 Comfort is ensured during long rides through strategic pressure distribution and stable wing flex.